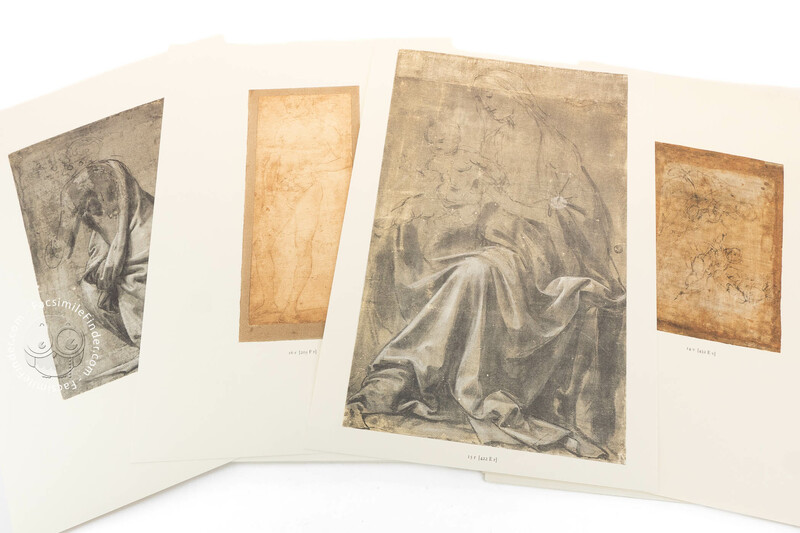 The book systematically gathers together all the ‘loose sheets’ by Leonardo and his followers conserved in the prestigious Uffizi collection. 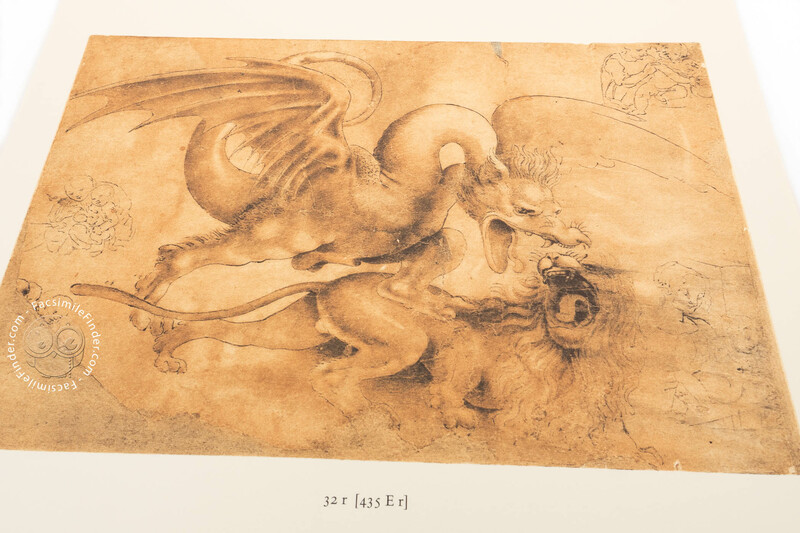 Among these is Leonardo’s earliest known drawing, the first drawing in Western art to have as its subject pure landscape. 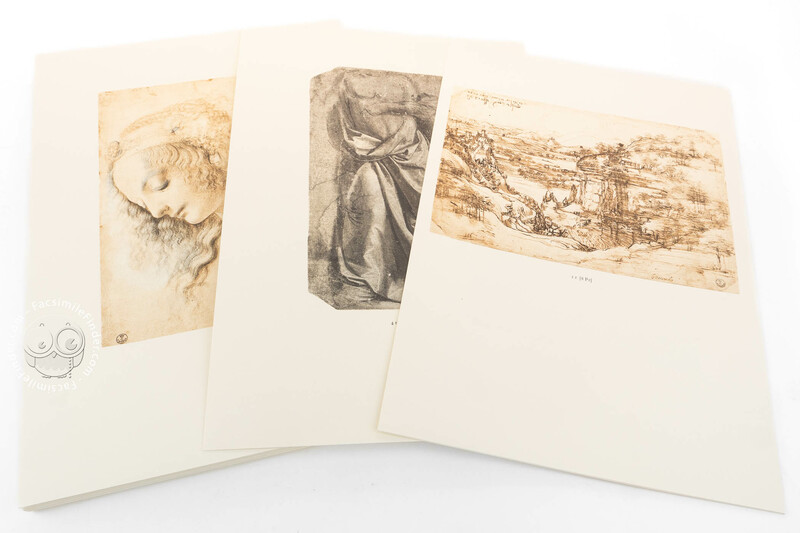 It is the famous view of the Arno River valley seen from the slopes of Mount Montalbano, signed and dated 5 d’agosto 1473 (‘5 August 1473’). 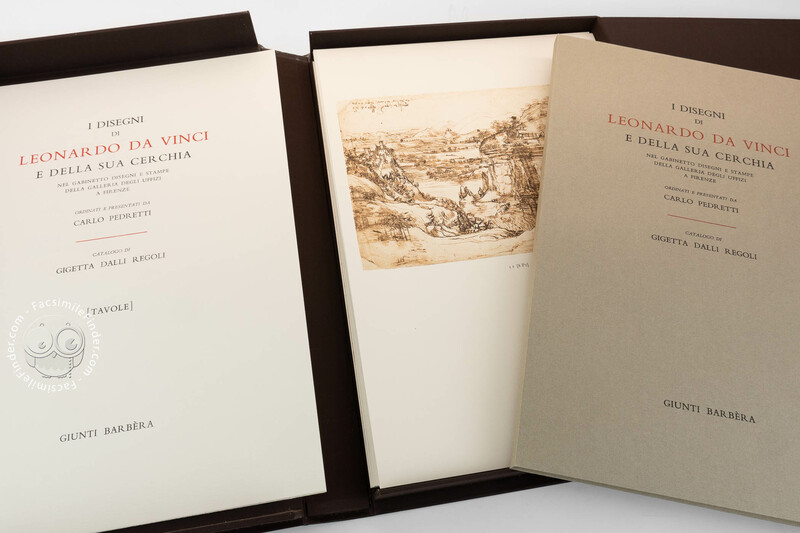 Leather-covered box (size 335 x 488 mm) with gold tooling, containing 50 plates with facsimile reproductions of the drawings, recto and verso, and a 106-page text printed on handmade paper and bound in Fabriano paper. 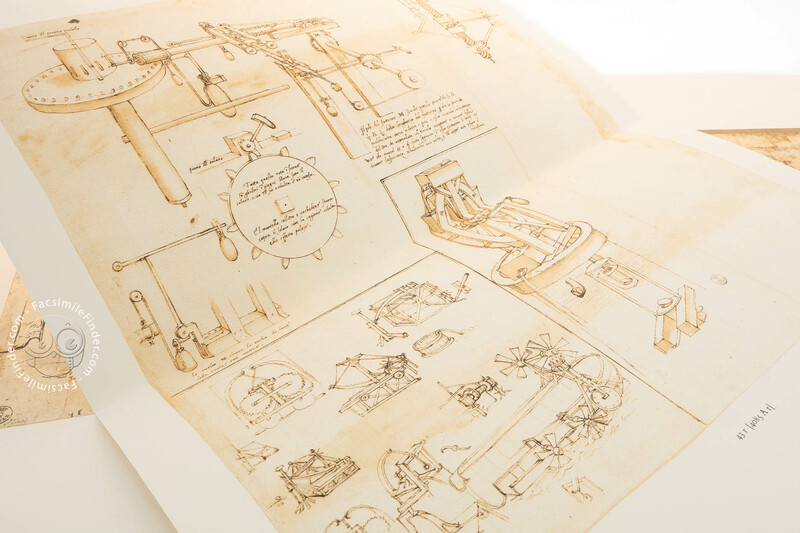 A richly illustrated, exhaustive introduction by Carlo Pedretti presents the history of the collection, the problems of attribution, style, and chronology in the works of Leonardo and his pupils. 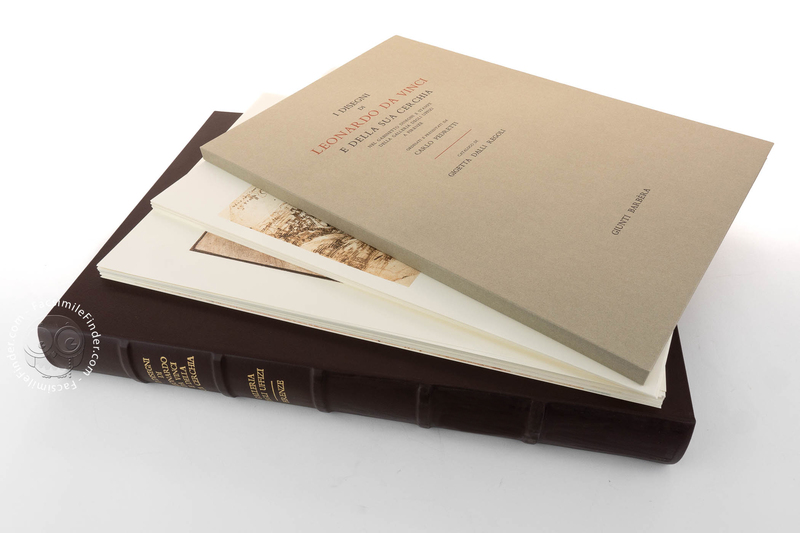 A full bibliography and concordance tables follow. 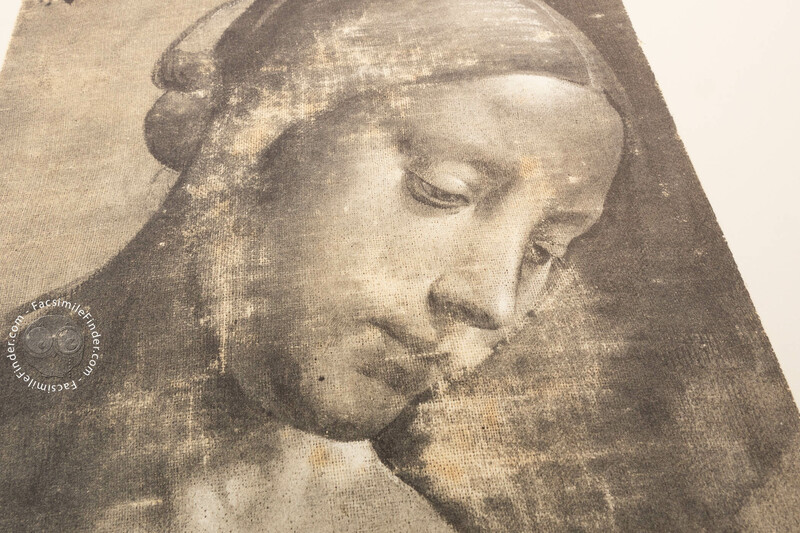 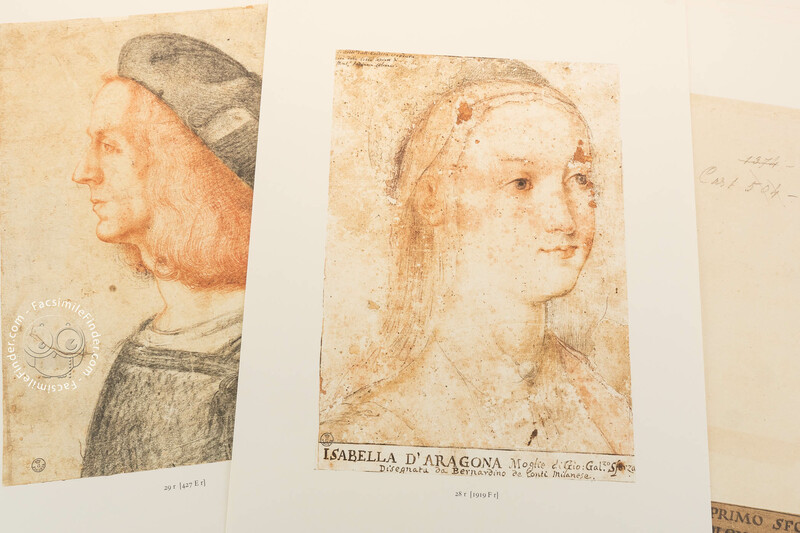 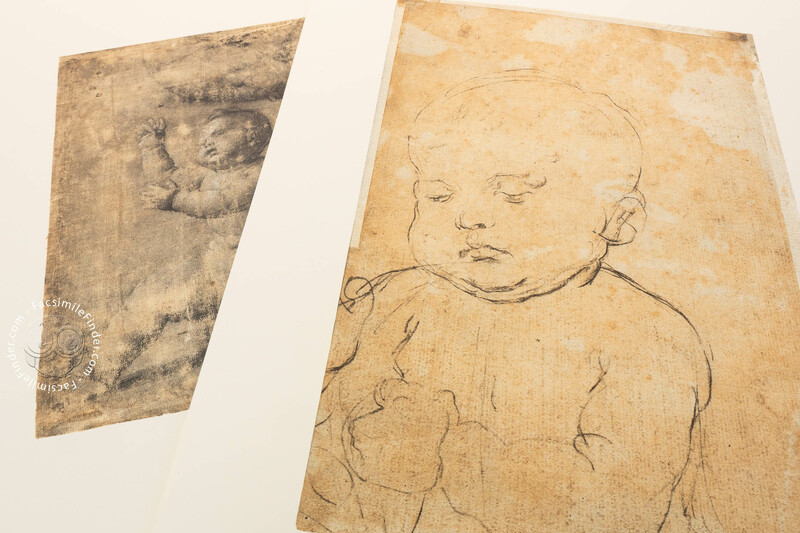 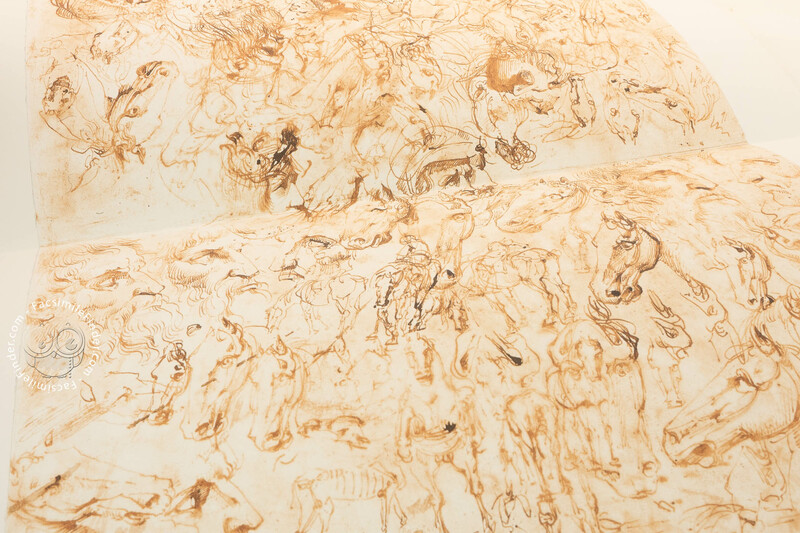 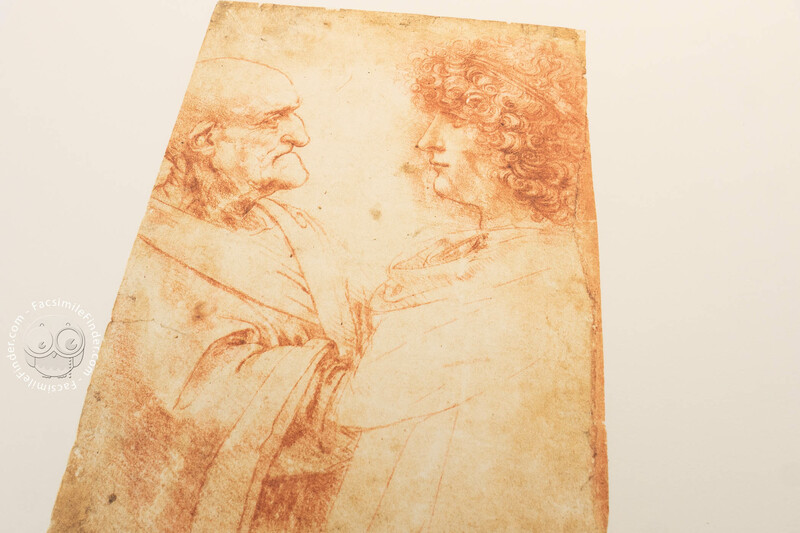 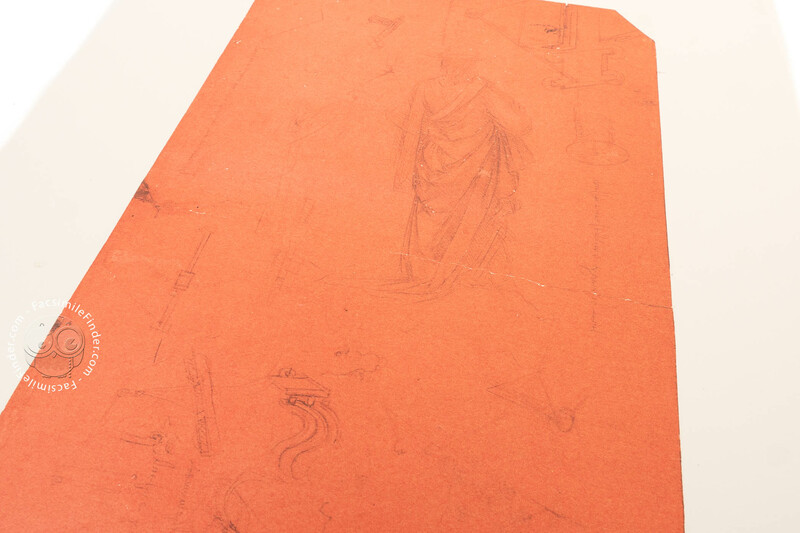 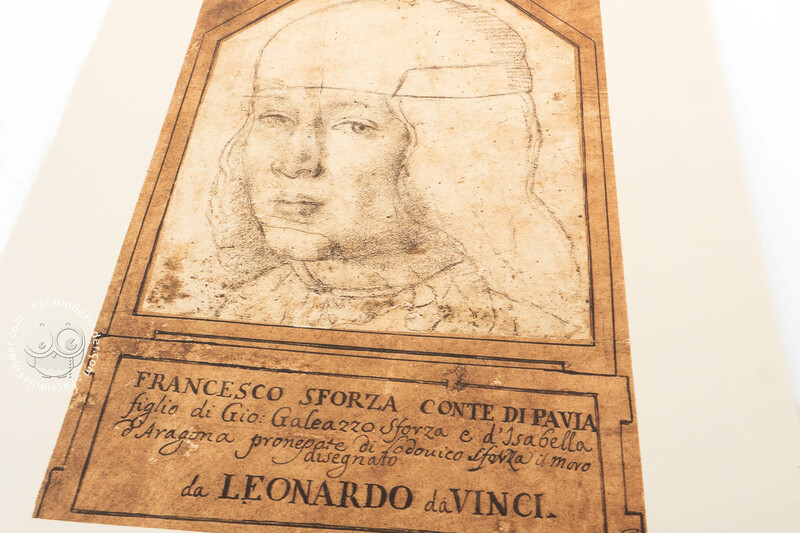 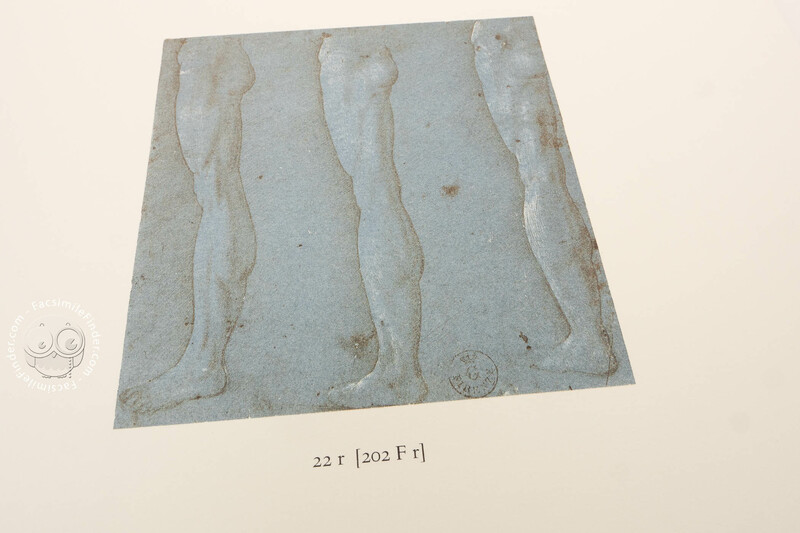 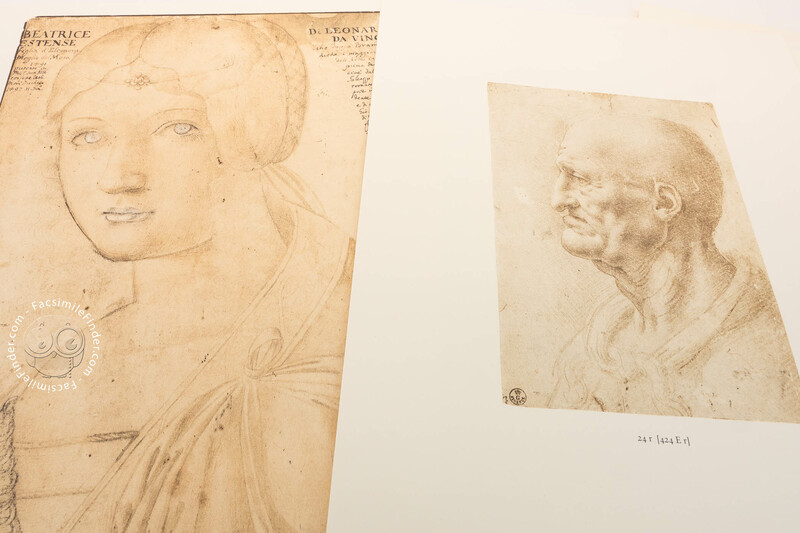 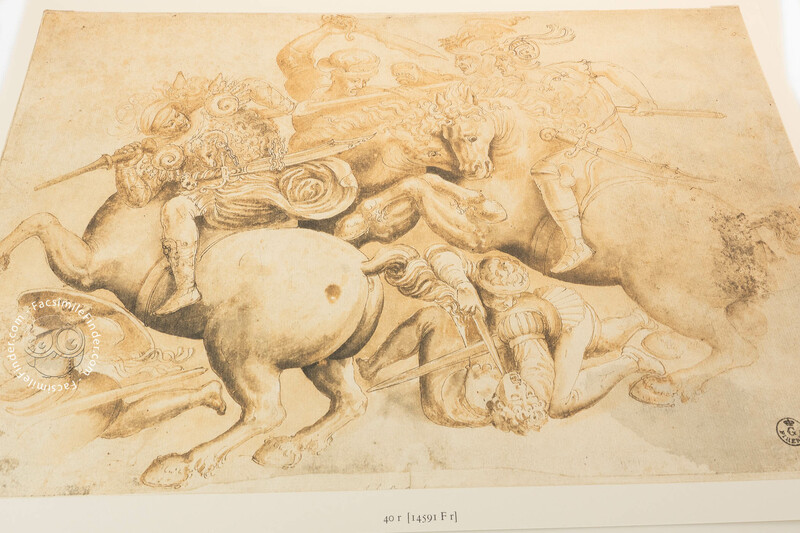 The 11 drawings by Leonardo and 39 drawings by his followers are catalogued by Gigetta Dalli Regoli.